In the previous article, A Guide to Japanese Skin Care (Part 1), I went over the basic morning skin care routine that many Japanese ladies usually do as well as recommended several products in each category that are well-known and popular in Japan. This time I'll be going through the evening routine, which has a couple extra steps compared to the morning. As you go throughout your day, your face is exposed to the outside world and if you're living in a harsh climate, your skin is constantly facing the elements. In the blistering cold weather, your skin is vulnerable to drying and in the sweltering summers, perspiration along with oil buildup can clog the pores and possibly cause breakouts. Pollution and stress that often comes with life in the city can also cause burden on the skin. But fret not; your skin is resilient and recuperates every night while you're asleep. Skin cell regeneration is faster in the evening than in the daytime and your skin is able to better absorb active ingredients at night. So if you really want your serums and skin treatments to fully kick in, during the evening is the best time to apply them. Before you can even apply anything to your face, you need to make sure that your face is fully cleansed with all of the make-up you may have worn that day removed. I know, sometimes you're dead tired when you come back home and are really tempted to just kick off your shoes and jump straight into bed. But it's absolutely important that you cleanse off any beauty products before you sleep because all those layers of products that have been exposed to all the bacteria in public will hinder your skin's process of regenerating. Plus, all that oil and bacteria on your face will make it much easier for your skin to break out. If there's one thing you should do before you sleep regardless of how zombie-like your state of mind is, it's clean your face and brush your teeth (okay, I realize that's two things but they're equally important). In Japanese skin care (and Korean as well) cleansing the face involves two steps: removing make-up with a make-up remover and washing the face with soap. This two step process is referred to as "double cleansing." Japanese make-up removers are usually oil-based, but other variants such as water-based cleansers and cleansing balms. When removing make-up, use a cotton pad soaked in whatever product you're using and gently wipe your face in an outward motion. Instead of constantly rubbing your eye area to get rid of stubborn mascara and eyeliner, take another cotton pad with cleanser in it, and apply it over the area with a little more pressure and keep it there for several seconds. It should be easier for the eye make-up to come off once it has been dissolved by the cleanser. If you don't wear any make up, go ahead and skip this step and wash your face. The Japanese term for make-up cleanser is メイク落とし. I'm the type of person who rarely buys skin care products/cosmetics more than once, since I like to try out new things. But when it comes to make-up remover, I've repeatedly bought the Bifeseta Cleansing Lotion because it's been the best I've tried so far. As I've probably mentioned before, I dislike the feeling of having residue on my skin after using a product which is why I'm in love with this product. Despite having the word "lotion" in its name, it's a water-based cleanser that easily removes even my heaviest coverage foundation with little effort. 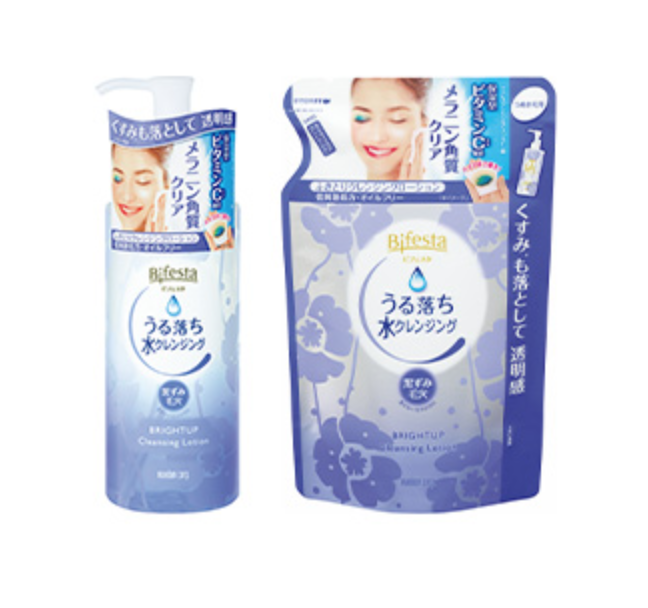 In addition, the Bifesta Cleansing Lotion is a cleanser and toner combined, so your skin feels moisturized after using it. And honestly, each bottle has a generous amount and it costs less than 1,000 yen making it such a great value. I highly recommend it if you're look for an affordable, water-based cleanser. 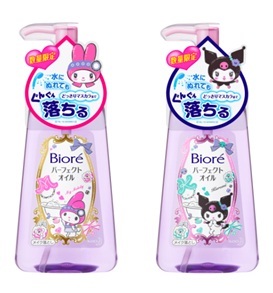 For those who prefer oil-based removers to get the job done, or if you regularly apply heavy, waterproof make-up, then I recommend this oil cleanser from Bioré. 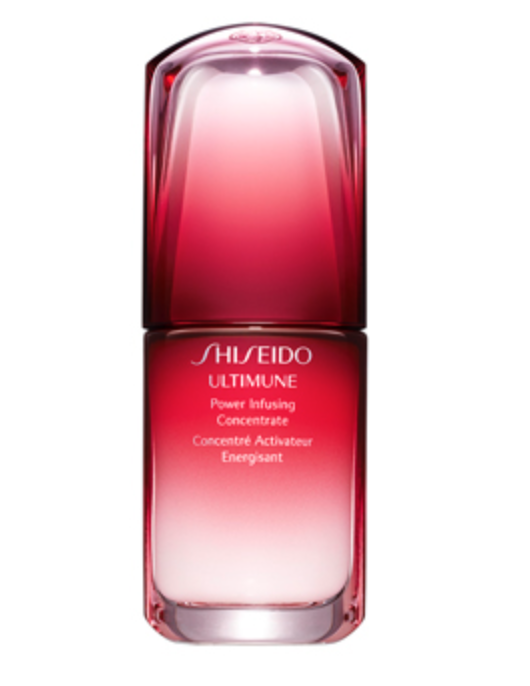 It's widely sold all throughout Japan and parts of Asia and quite a favorite among Asian beauty bloggers. If you're lucky, you can find the limited edition bottles that are decorated with cute Sanrio characters such as My Melody which are available during certain times of the year. If you're looking for a trusty make-up remover that will cleanse deeply and if you don't mind the feeling of oil on your face, then the Bioré Perfect Oil is a great bargain. 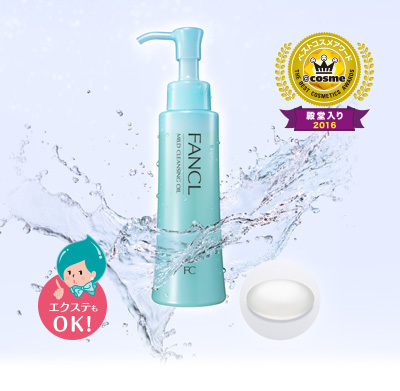 This cleanser from Fancl is a bit pricier than the previous two, but it is powerful enough to remove stubborn, waterproof make-up without causing irritation on the skin. Although it's an oil cleanser, it doesn't leave behind any residue and moisturizes the skin. It's also great for those who have sensitive skin. Fancl does have some stores outside Japan, but they're usually more expensive so if this is your holy grail of cleanser, be sure to stock up while in Japan. Periodically you should slough off any excess dead skin cells that are still clinging to your face in order to brighten up the skin and allow your make up and skin care products to apply evenly. Don't overdo it though--exfoliating isn't a daily routine and should be done 1-2 times per week. If you have sensitive skin, it's probably better to stick to once a week. I don't remember there actually being a direct translation of "exfoliator" in Japanese, but usually products that exfoliate contain the words "gel" ジェル or "peel" ピール. When I usually think of exfoliators, I imagine creams with microbeads (bad for the environment, by the way) or some other particles used to create friction against the skin. So when I saw the word "gel" on the bottle of this exfoliator, I was a bit skeptical of whether it would be able to remove the dead skin cells. I was pleasantly surprised after I washed off the gel and found my face feeling smoother than before. In order to use the Nature Aqua Gel Cure, you put about 3-4 pumps worth of product on your palm and start massaging it onto your face. As you continue to massage, you should start to see little balls forming on your face. After you're done you simply wash off the product from your face thoroughly. This product is very gentle on the skin as it doesn't contain any tiny granules and it's fragrant-free. This product is quite difficult to find outside of Japan or if it's available, the prices are usually comparatively higher than in Japan. 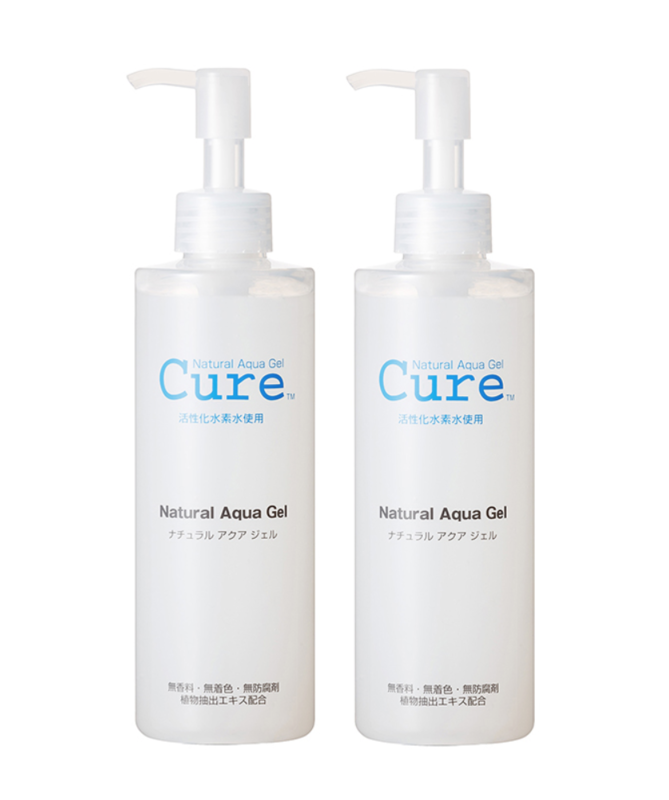 This peeling gel has a very similar jelly-like consistency with the Natural Aqua Gel Cure and works the same way, for less than half the price. If you like having skincare products that are fragrant, Detclear Bright & Peel Facial Peeling Gels come in different scents such as mixed berries and mixed fruits (they also have a non-fragrant version). After you've completely cleansed your face and removed excess dead skin cells, it's time to moisturize the skin using lotion. As I've mentioned in the first half of this series, lotion in Japanese skin care has a light, watery consistency and is usually applied either by hand or with a cotton pad. The Japanese word for facial lotion is 乳液. For recommended Japanese brand lotions, please refer to the previous article. In Japan and many other East Asian countries as well, face masks (フェイスマスク) or packs (パック) are an essential part of the skin care routine. While those living in Western countries are more familiar with facials that you apply on the face and rinse off, face packs are cotton masks that are soaked with formulas that target different skin concerns. To use a face mask, you simply remove it from the package, align it to the contours of your face and leave it on for about 15 minutes. Afterward, you massage the formula into your skin--I usually take the leftover that remains in the package and apply it around my neck and hands to make them soft and bright as well. There are so many different types of face masks that have different functions such as brightening, moisturizing, anti-aging, etc. Ideally, face masks are used once or twice a week depending on the season or how much moisturizing your skin needs. These face masks are extremely popular with tourists that it's quite common to see them being sold in packs of five or more for visitors who want to bring them back home. The fact that this product can't be easily purchased outside of Japan adds to its popularity. 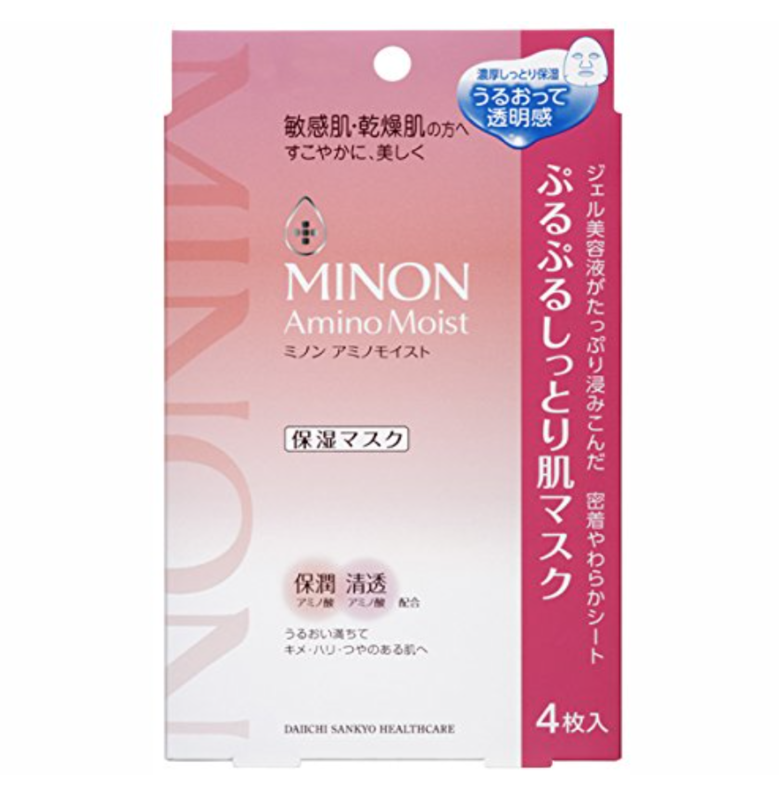 Products from Minon are great for those with sensitive skin as they are non-fragrant. If you're worried about fine lines, this product claims that it can fully hydrate the skin. 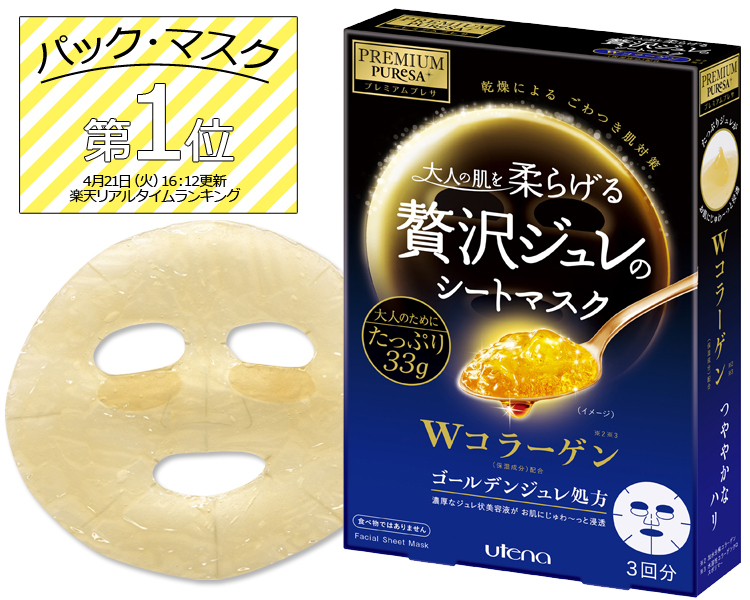 Another widely available face mask brand is Utena Premium Puresa Golden Jelly Face Masks which come in three different varieties: hyaluronic acid, collagen, and royal jelly. The mask itself is made out of cotton, but the essence is a thick gold jelly, hence the name. Each box comes with a pack of three, which may seem like a small amount for the price tag, but each pack contains 33 grams worth of essence. In order for your skin to fully absorb the formula, it may take longer than 20 minutes, which means more time to Netflix or scroll through your social media. 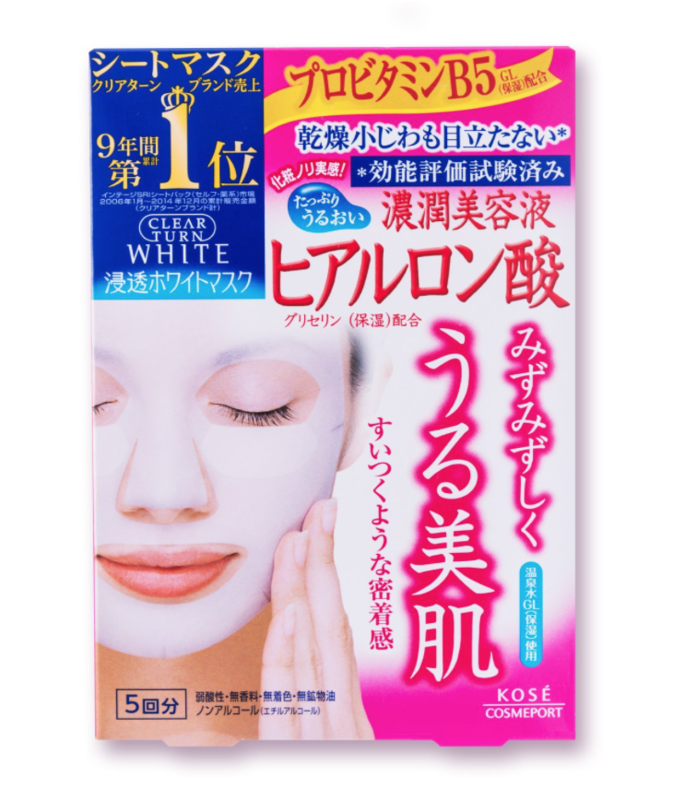 Yet another cult classic, Kosé Clear Turn White Face Mask Series are so popular that the box says that it's the number 1 best-selling face mask in Japan for 9 years. These are great for those who frequently use face masks on a weekly basis as they come in packs of 30 that come in a resealable plastic box and they're fairly inexpensive for the amount you receive. The range of face masks that they offer is very wide that you'll most likely be able to find one to fit the specific needs of your skin condition. This next step is optional for when you have a specific concern you'd like to treat such as anti-aging or eliminating dark spots/discoloration. Because serums are made up of small molecules that can deeply penetrate the skin, the active ingredients in them are very effective for targeting specific skin care concerns. Although they do provide some amount of moisture, serums are not actually moisturizers so face creams are usually applied afterward to seal in the serum and fully moisturize the skin. If you're ever confused about which order to apply skin care products, a great rule of thumb is to start with the most watery consistency and work towards the thicker products. Heavy creams and sleeping packs act as a barrier for all the layers of skin care products, assuring that your skin absorbs all the ingredients. 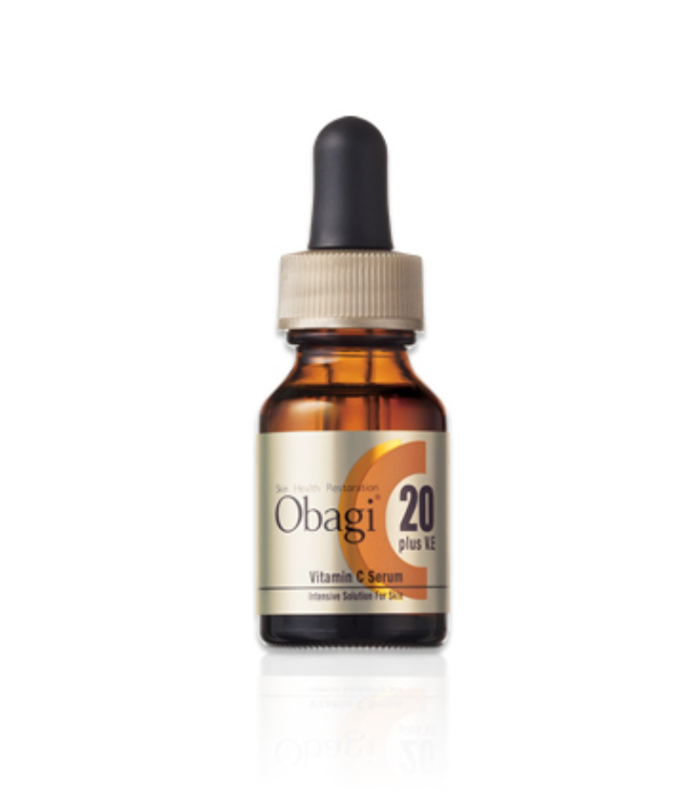 For a serum that does it all, the C20 Serum from Obagi is a great choice because it is made of a combination of Vitamin E and Vitamin C and is effective in pore tightening and removing acne and acne scars. Continued use also promises the fading of hyper-pigmentation and wrinkles. Again, this step is also optional for if you have any concerns such as dark circles under your eyes or wrinkles. 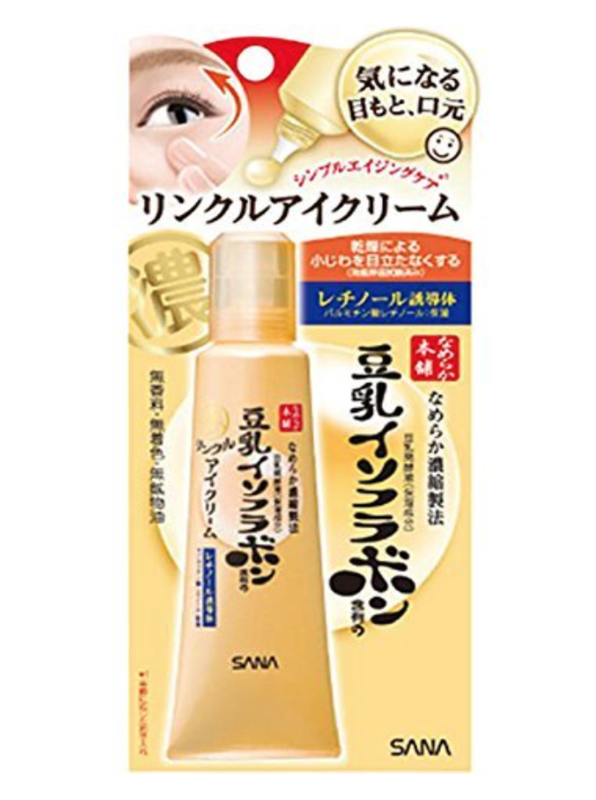 I mentioned this brand in the previous part of this series as one that is affordable and easy to find in most drugstores in Japan. This product is recommended for those who are just beginning their anti-aging routine and don't want to splurge too much. 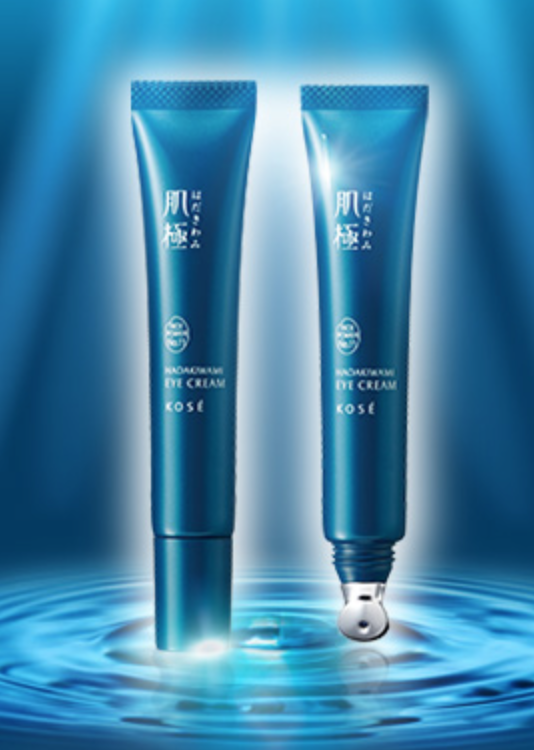 The Namesake Honpo Wrinkle Eye Cream contains soy milk isoflavone and retinol derivatives that improve the appearance of fine lines and wrinkles. This eye cream comes with a massage applicator that makes it easy to apply the product while reducing puffiness and promoting circulation. The active ingredients in the Hadakiwakami Eye Lift Cream include green tea and glycerin which help to moisturize and fade away fine lines. The final step is to seal in all of the products you've applied on your skin with a thick cream or sleeping pack so that all of your products can do their magic overnight as you sleep. Generally, night creams are a heavier consistency compared to day creams and sleeping packs are even more so, which make them great for really hydrating your skin. Creams in Japan are usually referred to as フェイスクリーム or simply just クリーム. This all-in-one cream is perfect for those who find themselves too busy to apply several products at night or for those who simply can't be bothered to spend a lot of money on separate skin care items. 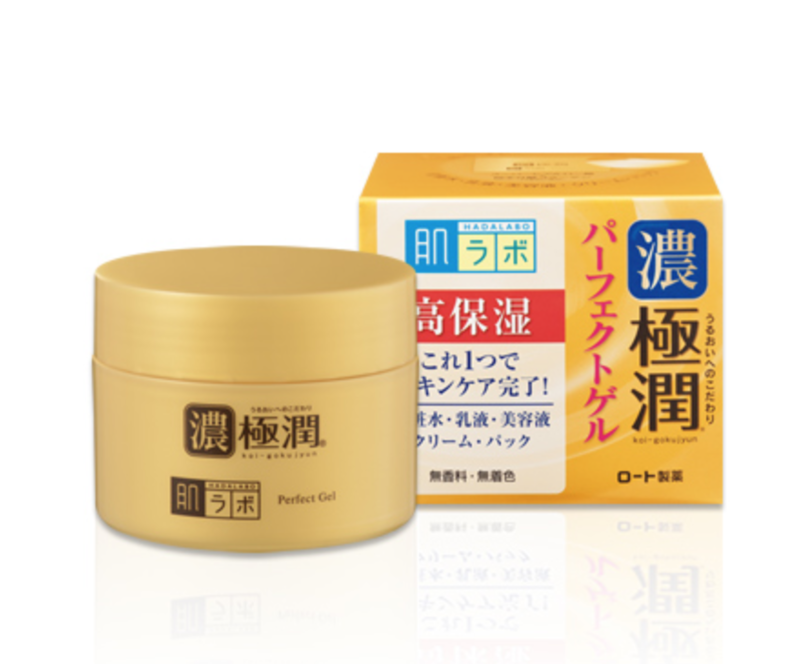 The Gokujun Koigokujun Perfect Gel works as a moisturizer, essence, face milk, face cream, and face pack so it really is a multi-tasking product for people who are short on time in the mornings and evenings. Pola Skincare and Cosmetics was founded by Japanese businessman Shinobu Suzuki back in 1929 when he made a product that was specially formulated for his wife whose hands would often get severely dry. 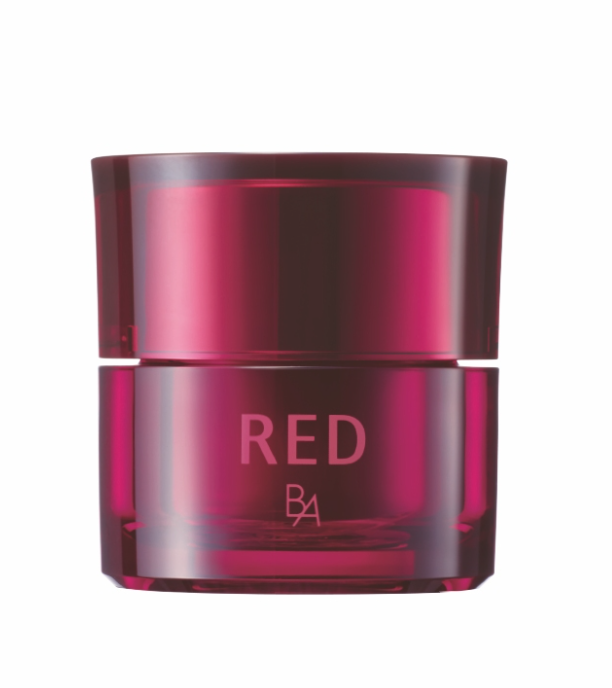 The Red BA cream works in the evening to moisturize the skin, leaving it soft and supple the next day. It's certainly more of a splurge item, but the brand Pola has won numerous awards for their research and technology in skin care. If you've managed to read up to this far, congratulations! Those were a lot of steps and you may be wondering whether you have the time and patience to go through every single part of the routine. But don't fret, even I don't follow this every night, especially when I have a million of assignments and readings to do for classes. What I've learned is that alternating products throughout the week is a good way to save time while at the same time making sure I'm taking care of my skin. Of course some steps like make-up cleansing and face washing should be done daily, but exfoliating and applying face masks can be done once or twice a week. Just find a routine that works for your schedule and concerns and try to stick to it. And remember to let your skin breathe once in a while; after all, your body is designed to regenerate itself, so let it do its job and give your skin a break from all of the products every so often. I hope this two-part series introduction to Japanese skin care will be helpful for you when shopping for skin care products in Japan!